Clarence Valley Libraries offer a fortnightly selection and delivery service to housebound residents of Grafton, South Grafton, Yamba, Maclean and Iluka. 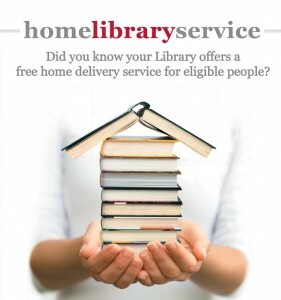 Residents in outlying areas can apply to access the service via the Mobile Library. Fortnightly deliveries are available to housebound residents of Grafton, South Grafton, Yamba, Maclean, Iluka and outlying areas serviced by the Mobile Library. The service is being expanded to include Iluka. To be eligible for the service residents must be housebound due to illness or disability, whether temporary or permanent; unable to visit a library due to frailty; a full-time carer; or a child in the care of any of the above groups. There are no age restrictions for home library members. The service is FREE to eligible residents of the Clarence Valley. A GP, nurse or social worker can complete the referral form.